An old image of Hempton Green Mill in Norfolk. Photographed in the early 1930s. 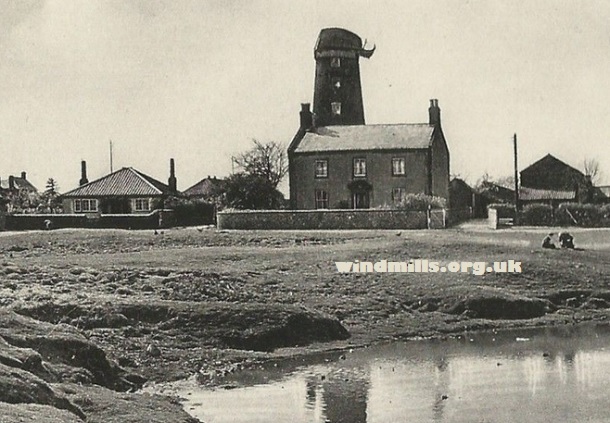 The tower mill in Hempton Green was built in 1833 and was last worked commercially in 1918. It was demolished at the start of the Second World War, as it was thought that it could be used as a navigation point to locate a nearby airfield. Hempton Green is a small village near Fakenham in Norfolk in the east of England. This entry was posted in Old Images, Windmills and tagged Hempton Green, mill, Norfolk on April 16, 2016 by Tower Mill.